The wallpaper recipe follows a pattern of two papers on top of each other with two dyes to the side. The recipe yields 12 wallpapers, creating a design that is 3 blocks wide and 4 blocks tall. 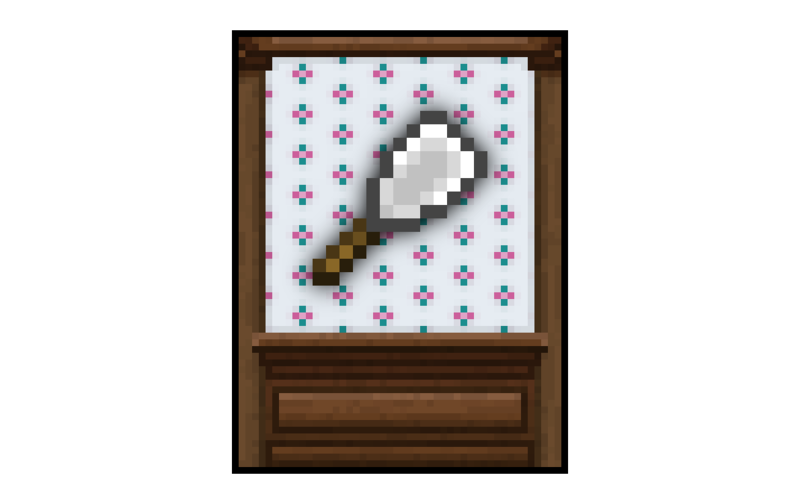 In order to remove wallpaper you must use a wallpaper scraper. 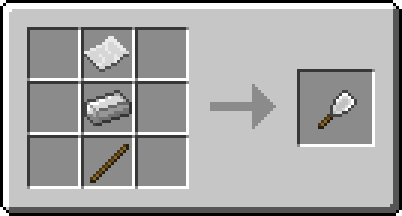 It is crafted from stick with an iron ingot above it with paper on top of the ingot. Right click a vertical face of an opaque full block to place the wallpaper. The wallpaper will be placed as a continuation of surrounding wallpaper. If there is no wallpaper directly adjacent then it will be the bottom left part of the design if there is a floor in front of the wall, otherwise it will be the top left. For the 1.8 version the supported OptiFine versions are OptiFine 1.8.0 HD U D2, D3, and D5, using a version not listed here may cause problems. PLEASE PLEASE PLEASE make this for version 12.2.2!! Is this mod still alive? I met some crash problem..
Any thoughts as to if you are going to update to 1.10.2 or not? Looks like a very cool mod btw, thanks for making it. It seems the mod is crashing on startup. It appears to be trying to call a class from Forge that no longer exists? Will you make different sized wallpapers? In Decocraft is a bench what you can use for crafting deco stuffs. It needs clay and three colors. You may can a bench for yourself too, use all the 16 colors and paper, and with those you can make your wallpaper. There is only going to be one size of wallpaper because all the planned wallpapers are the same size since they're from Animal Crossing: New Leaf. I do have the idea for a wallpaper catalog instead of a crafting recipe for each wallpaper. Good idea. But I have a problem. I'm using John Smith Legacy resource pack and in that there are no wallpapers. Can I do something with that? What other mods do you have? Still, your question is good, because I'm experiencing a weird thing. The stairs are completely transparent for particles like rain/snow or Weather2 clouds. I don't know what cause his, but it might have connection with the wallpapers' problem. It's not Optifine, I tried that.